Canadian Rockies. Between 1902 and 1930, this unheralded alpinist perfected phototopographical techniques to compile a series of mountaintop photographs during summers of field work, and spent his winters collating them to provide the Canadian government, tourists, and mountain climbers with accurate topographical maps. Bridgland was a great climber and co-founder of the Alpine Club of Canada. 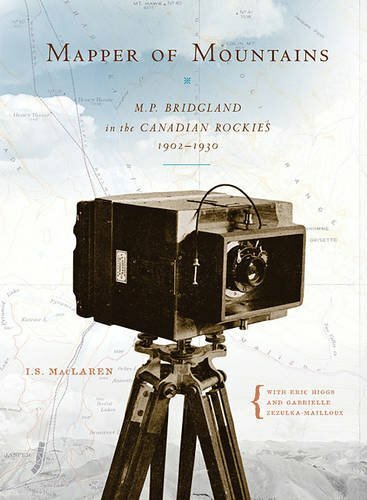 Mapper of Mountains also tells the story of the Rocky Mountain Repeat Photography Project, which studies the changes sustained in the Rockies, repeating the field work accomplished by Bridgland almost a century ago.